It's an exciting time to be in HR as scores of technologies, such as Watson, AI, predictive modeling, real-time data analytics, HR shared service centers, and others are being implemented at a rapid pace by HR leaders around the world every day. 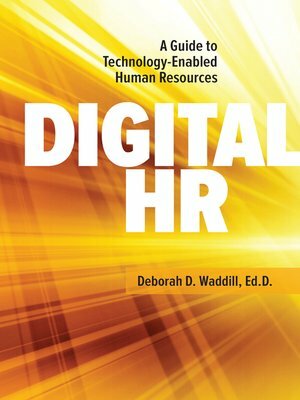 Digital HR expertly addresses the revolutionary trends and disruptive echnologies to provide HR executives, managers, specialists, generalists, and students with a comprehensive and evidence-based guide to current technologies that enhance, enable, revitalize, and empower Human Resources. With practical insight, real-world case studies, tips and tools, recommendations, and additional resources, Waddill guides readers through each of the major technologies and addresses vital strategic and implementation issues.